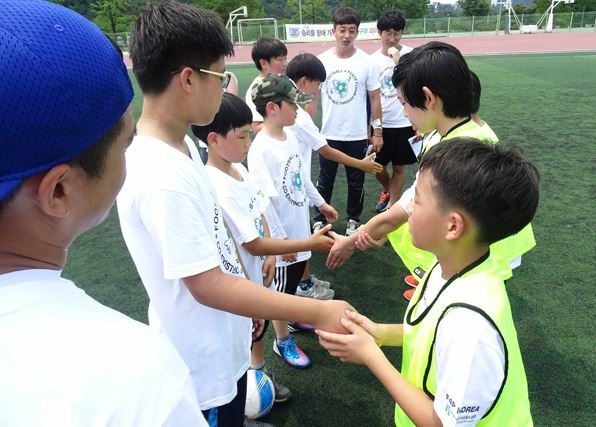 The programme follows a unique values based coaching methodology which uses a holistic model of coaching whereby participants intrinsically learn fair play, good relations and citizenship through sport. Spiritual, moral, social and cultural development is learnt through the physical – learning by doing and following the example set by positive role models in the form of trained coaches, teachers, local youth/community workers and volunteers. 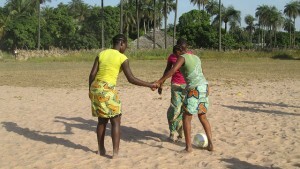 While getting children to enjoy learning and playing football together in non-threatening settings is one of the guiding principles of F4P, simply playing football is not sufficient to promote the kind of interaction that can allow longer-term relationships and cross-community understanding to flourish. A major innovation, therefore, has been the development of the ‘Off-Pitch Manual’ the idea behind which is to underpin the technical football coaching programme and manual with the values and principles which in practice help to promote mutual understanding and inclusive citizenship. The promotion of key skills and citizenship can be achieved within the confines of a sports ground without the need to use specialised off- site facilities. This can potentially be achieved through activities such as orienteering in which the core values and principles of trust and respect can permeate. In this respect leaders can promote the development of the core values whereby children can improve their own learning and performance and work with others to solve problems collaboratively using verbal and non-verbal communication skills. The aim of most standard training schedules is to enhance specific skills alongside the development of technical and tactical understanding. In most cases, an unintended but inevitable consequence of a good programme is that participants learn to work and play together in groups and teams. The F4P On-Pitch Coaching Manual has been designed as a guide for coaches who recognise the potential of football as a medium through which to teach positive personal values that lay foundations for enhanced inter-community relations. It has been piloted in Israel and Northern Ireland, both societies divided across religious, cultural, political and social lines. Its methodology has been adopted into a variety of situations including school Physical Education lessons and all sports clubs, where Fair Play is promoted. It has also been adapted for different contexts, including for development purposes in Africa; Peace Education on the Korean Peninsula and for Social Justice ‘inclusion’ events in Europe such as the F4P v Homophobia Festivals with the Justin Fashanu Campaign. 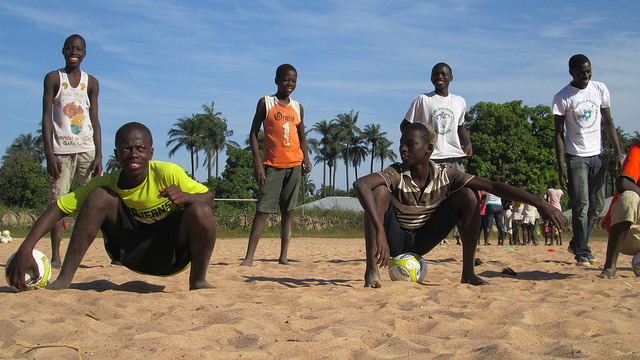 The F4P coaching programme highlights the social and fraternal attributes of sport in such a way that those who participate not only develop sport specific knowledge, but most importantly also consciously adopt, practice, and endorse the fundamental principles of fair play and good citizenship. F4P launched a new curriculum entitled Rugby 4 Peace using the unique F4P coaching methodology to teach values and life skills through rugby that can be adapted and adopted by schools – and those using rugby in conflict resolution or development. The R4P Coaching Manual has been designed as a guide for coaches who recognise the potential of rugby as a medium through which to teach positive personal values that lay foundations for enhanced inter-community relations. 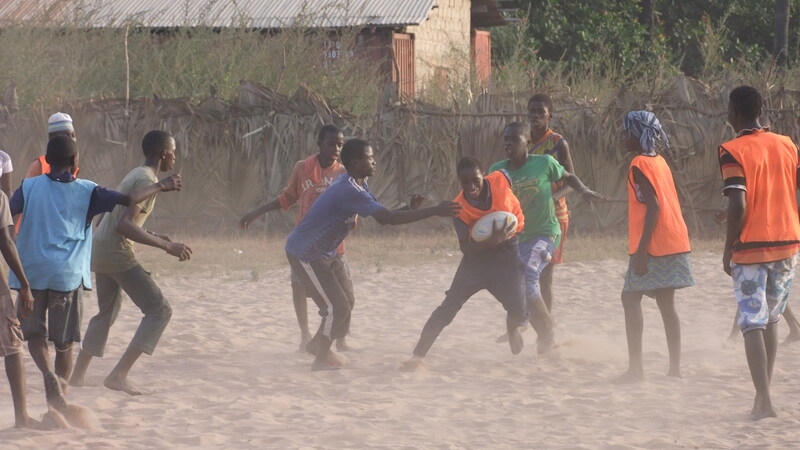 Previous community rugby schemes have used the game to foster a spirit of fair play and collective civic responsibility with young people. The unique R4P Coaching Manual has been designed as a guide for coaches who recognises the potential of sport as a medium through which to teach positive personal values that lay foundations for enhances inter-community relations. It has been piloted in The Gambia and England and its methodology has been designed to be adopted into a variety of situations and contexts including: school Physical Education lessons, development purposes in Africa; Peace Education on the Korean Peninsula and for Social Justice events. Graham Spacey, Jessica Foster, Sion Hughes-Gage, Neil Davie. And Thank you to Sarah Downie Ruiz and Lucas Marroqiue for the Spanish translation of R4P Manual.  Both teams have time to organise celebrations.  Time to summarise and go through the values and activities.  Highlight ‘Champagne Moments’ and praise participants for the good use of values.  Set clear targets for participants to improve on for the next session.